Computer scientist Lindsey Kuper cofounded the ! !Con conference series in New York City in 2014, but this is the first time the festivities have taken place on the West Coast. It went so well that Kuper hopes to continue the event next year. Meanwhile, the East Coast version of ! !Con will take place in New York City this May. The conference, Kuper said, is all about “experiencing computing viscerally” through short and snappy presentations. In talks that rarely stretched beyond 10 minutes, speaker after speaker covered a wild assortment of issues, obsessions, and brilliant hacks. The ! 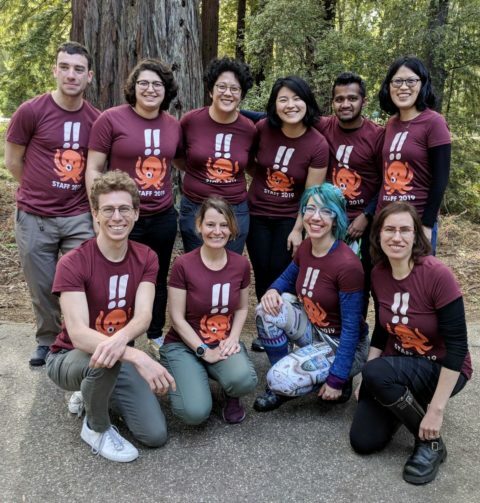 !Con West team members received over 200 talk proposals for the conference, from which they selected 30 talks through a blind review process in which the speakers’ identity was hidden from the reviewers. The conference, which attracted a crowd of 200, defied those outdated stereotypes of awkward, antisocial techies hiding out in their cubicles while downing large amounts of Mountain Dew. Make no mistake—there were plenty of sugary and caffeine-powered sodas to go around at this two-day conference—but the people who attended ! !Con West embraced the spirit of community. Even the “pay what you wish” price of admission reflected that community ethos. Word got out very soon after Kuper announced the conference was coming to town. “People on Twitter were talking about it,” said alumna Kathleen Tuite (Cowell ’07, computer science and mathematics). “It sounded really fun and delightful, local, and high energy. Things got off to an exciting start with software engineer and self-described “programming zealot” Lynn Cyrin, who gave an informative and hilarious take on various aspects of “the software engineering ecosystem” that make coding easier, including Git—a program that makes it easy and convenient for programmers to track file changes. “It makes you, basically, a time traveler,” said Cyrin. Some of the presenters spoke about the sheer joy of computing hacks and how creative people in tech can use their formidable skills to surprising ends. Katharine Berry, a software engineer, talked about the death and surprise revival of a smartwatch called the Pebble, a snazzy-looking gadget that received more than $10 million in initial funding from a blockbuster Kickstarter campaign, only to shut down later on. Dismayed about its fate and eager for a challenge that would put their skills to the limits, a group of determined tech experts decided to revive the Pebble on their own. It was a massive undertaking that required a vast array of coordinated skills including software, firmware, and hardware development. Speaking of labors of love, undertaken just for the joy of it, Misty De Méo, who works at GitHub, talked about her amazing feat of preservation and translation. Smitten with some of the “Lunar” series of Japanese role-playing games that were popular in the ’90s but were never released in English, she went about trying to translate all the Japanese text in the original games and producing English-language versions of her own—an undertaking that was staggeringly complicated to pull off. For one thing, as she discovered, some of the text in the games was represented using an arcane, nonstandard encoding, making it tricky to discover and replace. 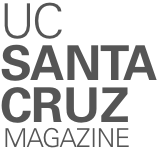 The conference was funded by UC Santa Cruz’s Computer Science and Engineering Department within the Baskin School of Engineering. Other funding came from Mailchimp, Stripe, Airtable, GitHub, Twilio, and the Recurse Center. The Baskin School of Engineering provided the space for the conference.